The New York City Police Department is seeking the public’s assistance identifying the following (above — Ed. 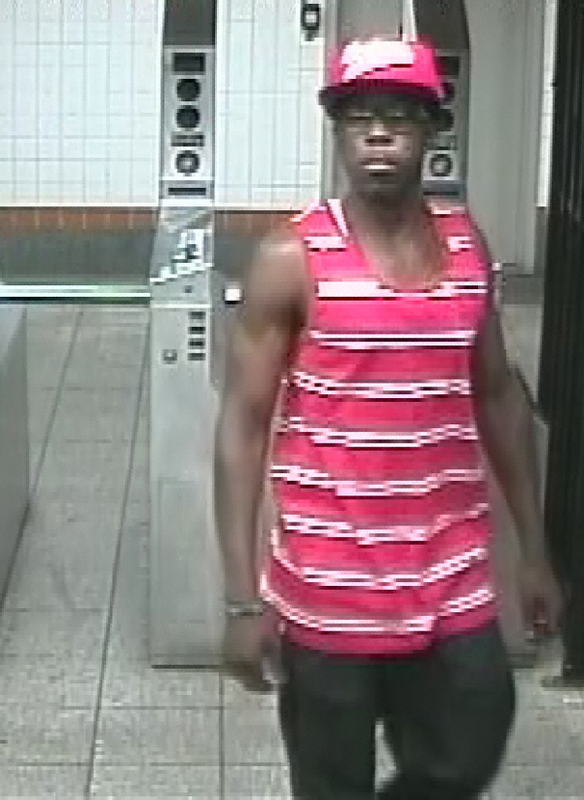 Note) individual wanted for a robbery which took place on June 9, 2012 at approx 0130 hours inside of the Lorimer Street “L” train in the confines of the 94 Pct. The suspect approached a F/25 grabbed her by the throat and removed her pocketbook. P.S. 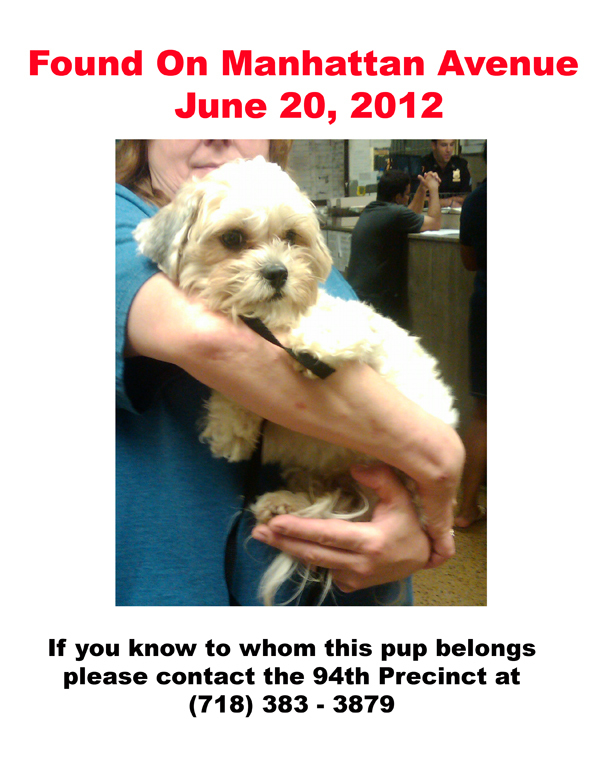 : While I am on the subject of the 94th Precinct, I have created a flyer for this adorable dog who is currently in their (air-conditioned) custody. Any/all good Samaritans can download it by clicking here.